This chapter talks a bit about design decisions. Note: This is an outdated document. It’s more or less the historical reasons for a lot of things. That doesn’t mean these decisions have stayed the same or we haven’t changed our minds on some things! Chris came up with the name MediaGoblin. The name is pretty fun. It merges the idea that this is a Media hosting project with Goblin which sort of sounds like gobbling. Here’s a piece of software that gobbles up your media for all to see. Those are pretty cute goblins. Those are the kinds of goblins we’re thinking about. Chris started doing work on the project after thinking about it for a year. Then, after talking with Matt and Rob, it became an official GNU project. Thus we now call it GNU MediaGoblin. In casual conversation, it’s ok to use more casual names. If you’re writing about the project, we ask that you call it GNU MediaGoblin. Because I know Python, love Python, am capable of actually making this thing happen in Python (I’ve worked on a lot of large free software web applications before in Python, including Miro Community, the Miro Guide, a large portion of Creative Commons, and a whole bunch of things while working at Imaginary Landscape). Me starting a project like this makes sense if it’s done in Python. You might say that PHP is way more deployable, that Rails has way more cool developers riding around on fixie bikes—and all of those things are true. But I know Python, like Python, and think that Python is pretty great. I do think that deployment in Python is not as good as with PHP, but I think the days of shared hosting are (thankfully) coming to an end, and will probably be replaced by cheap virtual machines spun up on the fly for people who want that sort of stuff, and Python will be a huge part of that future, maybe even more than PHP will. The deployment tools are getting better. Maybe we can use something like Silver Lining. Maybe we can just distribute as .debs or .rpms. We’ll figure it out when we get there. Regardless, if I’m starting this project, which I am, it’s gonna be in Python. If you notice in the technology list I list a lot of components that are very “django-like”, but not actually Django components. What can I say, I really like a lot of the ideas in Django! Which leads to the question: why not just use Django? While I really like Django’s ideas and a lot of its components, I also feel that most of the best ideas in Django I want have been implemented as good or even better outside of Django. I could just use Django and replace the templating system with Jinja2, and the form system with wtforms, and the database with MongoDB and MongoKit, but at that point, how much of Django is really left? I also am sometimes saddened and irritated by how coupled all of Django’s components are. Loosely coupled yes, but still coupled. WSGI has done a good job of providing a base layer for running applications on and if you know how to do it yourself , it’s not hard or many lines of code at all to bind them together without any framework at all (not even say Pylons, Pyramid or Flask which I think are still great projects, especially for people who want this sort of thing but have no idea how to get started). And even at this already really early stage of writing MediaGoblin, that glue work is mostly done. Not to say I don’t think Django isn’t great for a lot of things. For a lot of stuff, it’s still the best, but not for MediaGoblin, I think. One thing that Django does super well though is documentation. It still has some faults, but even with those considered I can hardly think of any other project in Python that has as nice of documentation as Django. It may be worth learning some lessons on documentation from Django , on that note. I’d really like to have a good, thorough hacking-howto and deployment-howto, especially in the former making some notes on how to make it easier for Django hackers to get started. In case you were wondering, I am not a NOSQL fanboy, I do not go around telling people that MongoDB is web scale. Actually my choice for MongoDB isn’t scalability, though scaling up really nicely is a pretty good feature and sets us up well in case large volume sites eventually do use MediaGoblin. But there’s another side of scalability, and that’s scaling down, which is important for federation, maybe even more important than scaling up in an ideal universe where everyone ran servers out of their own housing. As a memory-mapped database, MongoDB is pretty hungry, so actually I spent a lot of time debating whether the inability to scale down as nicely as something like SQL has with sqlite meant that it was out. Being able to just dump media-specific information in a media_data hashtable is pretty great, and even better is having a plugin system where you can just let plugins have their own entire key-value space cleanly inside the document that doesn’t interfere with anyone else’s stuff. If we were to let plugins to deposit their own information inside the database, either we’d let plugins create their own tables which makes SQL migrations even harder than they already are, or we’d probably end up creating a table with a column for key, a column for value, and a column for type in one huge table called “plugin_data” or something similar. (Yo dawg, I heard you liked plugins, so I put a database in your database so you can query while you query.) Gross. I also don’t want things to be too loose so that we forget or lose the structure of things, and that’s one reason why I want to use MongoKit, because we can cleanly define a much structure as we want and verify that documents match that structure generally without adding too much bloat or overhead (MongoKit is a pretty lightweight wrapper and doesn’t inject extra MongoKit-specific stuff into the database, which is nice and nicer than many other ORMs in that way). Sphinx is a fantastic tool for organizing documentation for a Python-based project that makes it pretty easy to write docs that are readable in source form and can be “compiled” into HTML, LaTeX and other formats. There are other doc systems out there, but given that GNU MediaGoblin is being written in Python and I’ve done a ton of documentation using Sphinx, it makes sense to use Sphinx for now. The AGPL v3 preserves the freedoms guaranteed by the GPL v3 in the context of software as a service. Using this license ensures that users of the service have the ability to examine the source, deploy their own instance, and implement their own version. This is really important to us and a core mission component of this project. Thus we decided that the software parts should be under this license. However, the project is made up of more than just software: there’s CSS, images, and other output-related things. We wanted the templates/images/css side of the project all permissive and permissive in the same absolutely permissive way. We’re waiving our copyrights to non-software things under the CC0 waiver. That brings us to the templates where there’s some code and some output. The template engine we’re using is called Jinja2. It mixes HTML markup with Python code to render the output of the software. We decided the templates are part of the output of the software and not the software itself. We wanted the output of the software to be licensed in a hassle-free way so that when someone deploys their own GNU MediaGoblin instance with their own templates, they don’t have to deal with the copyleft aspects of the AGPLv3 and we’d be fine with that because the changes they’re making are identity-related. So at first we decided to waive our copyrights to the templates with a CC0 waiver and then add an exception to the AGPLv3 for the software such that the templates can make calls into the software and yet be a separately licensed work. However, Brett brought up the question of whether this allows some unscrupulous person to make changes to the software through the templates in such a way that they’re not bound by the AGPLv3: i.e. a loophole. We thought about this loophole and between this and the extra legalese involved in the exception to the AGPLv3, we decided that it’s just way simpler if the templates were also licensed under the AGPLv3. Then we have the licensing for the documentation. Given that the documentation is tied to the software content-wise, we don’t feel like we have to worry about ensuring freedom of the documentation or worry about attribution concerns. Thus we’re waiving our copyrights to the documentation under CC0 as well. Lastly, we have branding. This covers logos and other things that are distinctive to GNU MediaGoblin that we feel represents this project. Since we don’t currently have any branding, this is an open issue, but we’re thinking we’ll go with a CC BY-SA license. By licensing in this way, we make sure that users of the software receive the freedoms that the AGPLv3 ensures regardless of what fate befalls this project. This is all codified in the COPYING file. GNU MediaGoblin is a GNU project with non-mandatory but heavily encouraged copyright assignment to the FSF. Most, if not all, of the core contributors to GNU MediaGoblin will have done a copyright assignment, but unlike some other GNU projects, it isn’t required here. We think this is the best choice for GNU MediaGoblin: it ensures that the Free Software Foundation may protect the software by enforcing the AGPL if the FSF sees fit, but it also means that we can immediately merge in changes from a new contributor. It also means that some significant non-FSF contributors might also be able to enforce the AGPL if seen fit. 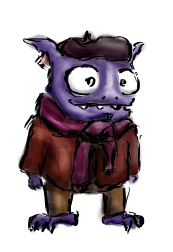 Again, assignment is not mandatory, but it is heavily encouraged, even incentivized: significant contributors who do a copyright assignment to the FSF are eligible to have a unique goblin drawing produced for them by the project’s main founder, Christopher Allan Webber. See the wiki for details. 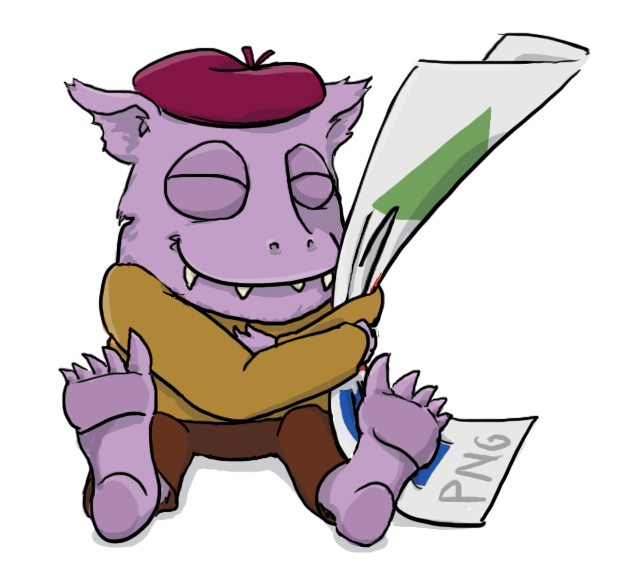 MediaGoblin documentation released into the public domain via CC0. Created using Sphinx 1.1.3.